When is it the BEST decision to consolidate your stack? Obviously, this is a loaded question that requires an understanding of the specific use case. But, what’s becoming the most interesting aspect of this question, is that it’s no longer the complexity of the use case, but the timing and team. You need o to develop business – which means social media syndication, emails, and possibly calls (for B2B). Then, you need to segment and start one-to-one communication with your prospects – which means CRM. Why wouldn’t those same founders start with a consolidated platform that we discuss in our all-in-one review? It makes sense – with some of these platforms we reviewed, they’d have all of the above + much more, in one dashboard, and for very little expense (our review features platforms that are below $50/mo per user for all of the features). They create social media pages and they think “We need to push content, but we don’t have a manager” – so they add a social syndication tool. Then, they create a site which has a form, and they think “We need to email people who fill this out – let’s get a simple email delivery tool that integrates with our form.” – so they search and inevitably add one of the first few results. Later that month/year they start getting a lot of leads and think “We’re getting a lot of prospect data that we cannot effectively-utilize if it’s only in MailChimp, we need a CRM.” (if you are B2C, this could be a data tool or bot). – They’re still on a budget so they search “Free CRM’s” and inevitably find SFDC (free Salesforce) and ‘Hubspot for startups’. Finally, conversions are low, or they feel the need to help customers in the backend web app more, so they consider chat. This is where they will find free Drift, startup Intercom, or a cheap Zendesk account. And in all of these circumstances, the biases or past experiences of the team will decide the outcome. What we want to share and clarify in this short article is the situation that dignifies an all-in-one platform like the aforementioned in our review. It’s these teams we want to find and help with this research we put together. You are a B2B company and are not going to grow past a few salespeople for at least a year. You are a brick and mortar business, possibly multiple locations, but have one small centralized marketing/sales team for the entire organization. Or, you are B2C (like e-commerce), a small operation, and have a need for chat and/or sales tracking (maybe for partnerships). These are not every use cases for all-in-one saas solutions, but they are the obvious best use cases. This is the newest of the reviewed tools, but don’t let its youth fool you – the product team behind User.com hit it out of the park. For B2B and e-commerce looking for features comparable to Intercom and Autopilot, but price-conscious, User.com may be everything you need in one. Especially if chat is a big part of your funnel and customer success ops. Their live chat and event-triggered automation UI is one of the best in this list. But, it can get a little complicated to get started if you want to integrate site forms using their CSS selector or send a lot of ‘newsletter’ blast emails. Another HUGE advantage and bonus User.com provides is around event analytics – Use.com tracks all users right from the first impression on your site/app – and includes UTM tracking out of the box. Then, you get robust analytics based on all of this tracking User does. This will come in handy as the events and users stack up. Pricing is on the higher-end compared to others on this list, but considering the features, and event analytics, User.com is a deal. Their support is very quick for US hours considering they are based in Poland. The pride and joy here in Chicago – the team at Active Campaign have built something truly solid with this product. And their growth over the last two years shows it. This amazing tool combines powerful list segmentation possibilities (great for e-commerce and other use cases with a ton of lists) with messaging automation. The best part about ActiveCampaign is the ease of use – it has the lowest learning curve of the tools on this list in our opinion. Their workflow builder and the automation capabilities are both easy to use and powerful. The user interface is straight-forward and intuitive. Their email editor is good, but still lags compared to what most first time founders are used to (MailChimp or other email-specific tools). Their support is wonderful and responds quickly via chat. And they boast more completed integrations than any other tool mentioned. One downside is that Active Campaign does not have its own Landing Page Builder. So you have to use a 3rd party landing page builder (like Unbounce) or use your site. Starting from $9/month, it also provides the most value for the money. When you consider pricing and power, Agile CRM carries some of the most value per dollar spent. It comes with a lot of functionalities like opportunity management, a huge support team (mine was actually based in Chicago when I used Agile so it was amazing), social and live chat support at a great price point. Takes a little time to get used to when compared with Active Campaign. Report and Analytics still need a lot of development. None of the reports are clickable which is one big drawback. If you are looking at a report of email or deals for the week, you can not click into the report, you only see the numbers but no breakdown is supported. Its a great tool for startups or marketers with the free version for up to 10 users which really makes Agile CRM stand tall in this list considering the price point. Recommended using for emails and contact management but not really a great tool for Sales Management. Salesflare has more of an emphasis on CRM than the aforementioned – focusing on selling B2B sales systems. One key feature we like about Salesflare is how it enriches your contacts data automatically. Salesflare can pull in data from social media and other databases (phone, email, calendars…) and provides it back in your prospective customer profiles. 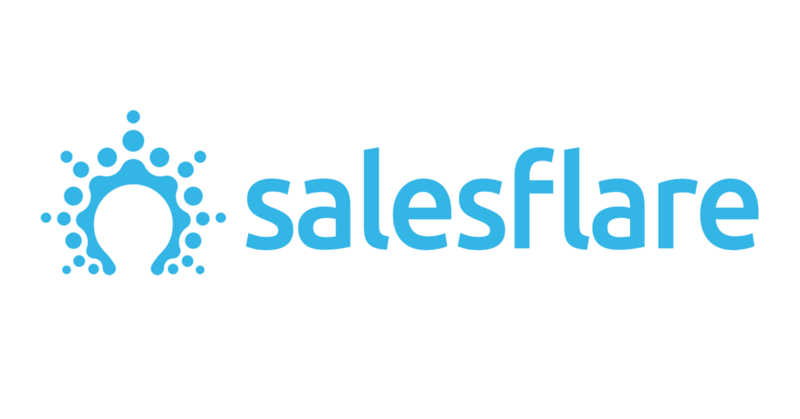 The price for Salesflare is highly-competitive at $30/month. This level includes all of the features, an easy-to-use interface, and awesome customer support. But… it lacks most of the marketing automation and workflow-building capacities of the aforementioned. And, the daily email sending limit to 200. All in all, Salesflare is worth checking out if you have a sales system, a small sales team, and are B2B. Flexie can be tailored specifically for your business needs. Users have the ability to create multiple dashboards with levels of user permissions. However, the learning curve is on the longer end of the spectrum (closer to User.com’s learning curve). It can be a challenge for new users to configure the workflows. Their pricing options are not ideal if you are not planning on having more than one person use the tool. But if you have 2 or three people who need access, the $79 for 3 users will not be an issue. Flexie is worth checking out if for nothing else than the features and automation possibilities offered. Platformly is an affordable all-in-one CRM + marketing automation tool starting at a low price point of $19/month. Although, the platform is relatively new with only some of their promised features released. We were not able to fully-vet Platformly before this review, but the answers in the review sheet are accurate, and users are providing great results around email automation and deliverability. And, they boast a landing page designer (which compares well with Agile CRM’s landing page builder). So if you use it, you can potentially save yourself some money. Being one of the newer of the reviewed platforms, they have room to grow with integrations, UI and their landing page designer. And, we did not experience quality customer support. So they have some gaps to fill in CS as well. A CRM focused more on running outbound cold email campaigns – with features like an email finder, but they also allow for drip campaigns and retargeting workflows based on their prospect activity. It’s a relatively new platform and their visual workflow builder which is still under development. Zoho CRM is the old workhorse of the bunch – but the price point and ability to run email campaigns under the same CRM plan qualifies it for this review. It may be the most flexible as well – boasting more integrations than the others. And options for add-ons to help scale. Zoho is also very cross-vertical friendly. And has amazing customer support. The downside… it’s UI, UX, and the dated technology. But, with a user base of 150,000+, Zoho CRM has matured as an enterprise-ready solution with advanced features like sandbox testing and business process mapping. It’s easy to adapt, implement, and customize with most the marketing automation abilities. It also gives strong pipeline tracking, customer centralized data, and follow-up systems for the salespeople. These facts make Zoho one of the most dependable of the bunch. Additionally, their pricing is well maintained as you scale.